Have you ever looked down at your stomach right after you eat and you look like you’re about 5 months pregnant? But you’re not? Well you may have Hypochlorhydria. Hypochlorhydria aka low stomach acid is a commonly overlooked and sometimes serious problem that most people aren’t aware they have. (I didn’t know I had it). It’s a condition that affects both men and women.Why care? Well, it can be a contributing factor to heart disease, low energy, constipation, skin rashes, leaky gut, parasites, low iron, auto immune disease and more. 7 signs that You Might Have Low Stomach Acid. 1. You Don’t Feel Good When You Eat Meat: I have clients who are very in tune with their bodies and when they say that they feel sluggish or nauseous, or bloated after they eat meat, I suspect that they don’t make the proper amount of stomach acid needed to break down the protein fibers. What happens is food just sits in their stomach and ferments making them feel pretty lousy. 2. You Experience Frequent Acid Reflux or GERD: Now I know that sounds a bit like a paradox. How can low stomach acid cause, what appears to be, an excess of stomach acid overflowing into the esophagus, causing burning pain and damage? Both the pharmaceutical companies and doctors have us believing that we need one of the over 120 million prescriptions that are filled each year to suppress stomach acid to stop GERD. But that is not the solution because that is not the problem. Pharmaceuticals often do more harm than good. What’s most likely causing GERD is there’s not enough stomach acid. This slows the emptying of the contents of the stomach, causing food and acid to push up against the esophageal sphincter, allowing a tiny bit of acid to leak causing the GERD/Acid Reflux. Stress contributes by increasing intra –abdominal pressure which pushes the contents of the stomach against the sphincter and by reducing production of HCL aka stomach acid. 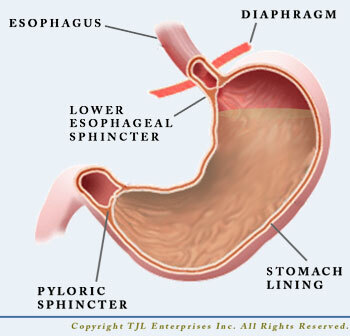 Acid creeping into the esophagus can also be caused by a relaxed esophageal sphincter. Fatty foods, alcohol, tobacco, food sensitivities, especially gluten can all cause the relaxation of this very important muscle. 3. You Feel Nauseous After Taking Supplements, even if taken with food: Our stomach acid breaks down B-vitamins. If we don’t have enough acid, supplements are going to just sit and make us feel very uncomfortable and sometimes nauseas. 4. You Burp, Fart, or Get Bloated within 1 hour After Eating: After eating a meal, do you experience any of the following symptoms? · Several burps shortly after finishing or burps later that taste and smell bad? · Experience gas 1-2 hours after eating? · Do you get bloated right after eating that lasts for a few hours? · A heavy feeling in your stomach-like your food is just sitting and fermenting. 5. You Experience Constipation 1-2 Days after Eating a High Protein Meal: This could be due to a decreased transit time or slowing down of food moving through the digestive tract. If the stomach lacks adequate acid to break down protein, the small intestines have to work harder and longer to digest the protein that should have been broken down by the stomach acid. 6. You Have Low Energy and a Bit of Brain Fog that May Feel Like Early Onset Dementia: There can be many reasons for low energy and brain fog but one of the 1st things that I investigate if a client complains of this, is the level of stomach acid. 7. 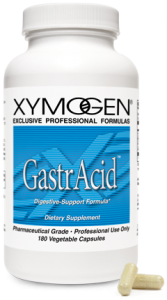 You have intestinal Parasites: One of the jobs of stomach acid is to sterilize our food-to kill the bacteria and pathogens that we ingest. If you have low stomach acid, you’re goin to be more prone to having parasites take up residence inside of your digestive tract. There is an inexpensive and easy way to find out if you have low stomach acid. You can simply purchase the equivalent of stomach acid, Betaine HCL, in pill form. The best way to determine the degree of low stomach acid is to slowly titrate the dose with each meal. In other words, start off with one capsule and then increase the dosage by one capsule with each meal until you feel a little burning sensation which indicates that you took one too many. Some people can only tolerate 2 capsules and some are still fine at 10 which indicates a serious lack of stomach acid. Once you’ve determined if you have low stomach acid, you can continue to use the HCL to relieve symptoms and feel better while getting to the root cause of the low stomach acid and do some repair work. Once the repair is completed, you should be able to taper the HCL down to a minimum or weaned off completely. I personally, know how debilitating hypochlorydia can be. About 10 years ago, I’d gotten to the point where I was eating very few foods because my stomach would become uncomfortably distended immediately after eating and I felt tired all the time. Searching for answers, I went to a naturopath who had me complete a very comprehensive functional stool test that revealed a lot but she, unfortunately, missed a key marker on the test results which indicated that I had low stomach acid. 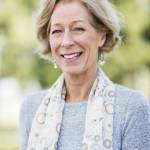 It wasn’t until I was attending a training at the Institute of Functional Medicine that I finally got some answers. A doctor also attending the training, kindly took a look at my stool test results and suggested that I start taking HCL. It was like a miracle for me! I had immediate relief from my bloating and started eating foods that I had stayed away from. I titrated the number of pills with each meal and was able to tolerate 10 high potent Betaine HCL capsules. That’s a lot of HCL, which told me that I wasn’t making much on my own. It also explained, my fatigue, bloating, constipation, and skin rashes. How Can You Reverse a Low Stomach Acid Condition? Today, I rarely need additional HCL, only when I’m feeling stressed, or eating a lot of animal protein at one sitting, do I need to reach for a couple of capsules. How did I heal my stomach so it could start producing more HCL on it’s own? I first ruled out having H-Pylori, which is a bacteria that irritates the stomach lining causing the inhibition of stomach acid production. This is important to rule out and can be done with a simple stool test. Then I incorporated a very effective form of zinc, called zinc carnosine. This chelated zinc has almost magical powers to heal the stomach lining which increases the production of stomach acid. I find that it works amazingly well with many of my clients, including those with ulcers. I’m hoping that if you suspect you have Hypochlorhydria, you will try out the simple HCL titration test for yourself. if you would like further assistance, I can help. I would love to hear from you! Any experiences that you might have had with low stomach acid, I hope you might share in the comment section.